This series examines communication within and between cells. It includes studies on orderly differentiation and regeneration, on comparative and evolutionary aspects and on the initiation and progression of disease, all of which depend on intra and intercellular communication. This occurs by means of a molecular language, the analysis of which represents a major stream in biology in the twentieth century. 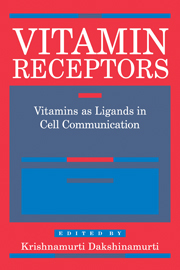 Interlocking ligand-receptor systems constitute an intercellular language in which molecules, such as factors and hormones, serve as words and convey signals - messages - through combination with membrane molecules (receptors). These signals can give rise to the production of other factors which can combine with receptors and thus form the sentences of the intercellular language.